In the article “Meet Douglas Gardham, the hardest-working Canadian novelist you’ve never heard of,” Globe and Mail Books Editor Mark Medley features a Canadian author who has travelled every weekend for the last three years and driven over 115,000 kilometres to “hawk” his books to strangers. I don’t feel sorry for Gardham. I think his work ethic is admirable and with his determination, it’s a matter of time before an agency finds him. It’s just a shame that iUniverse found him first. After years of agency rejections, Gardham decided to take matters into his own hands. “Finally, after a decade of frustration, he turned to iUniverse, the Indiana-based publishing service that has released some eventual bestsellers,” Medley writes of the resolute author. There are a couple of major things wrong with Medley’s piece (aside from its supercilious tone). First, the dismissal of self-published books in a grand sweeping statement is irresponsible of a modern newspaper editor. It is fine not to consider most self-published books, but this shouldn’t be because they’re self-published, and if it is, at least have the good sense not to admit this to your audience. Self-publishing is on the rise, and it’s here to stay, with even major publishers like Penguin-Random House formerly owning Author Solutions, the vanity press giant under which iUniverse and other so-called “self-publishing” companies operate. Many self-published books have gone on to become bestsellers, and many traditionally published books have faded into oblivion. If the author has an audience they know how to tap into, the book should sell relatively well regardless of where it’s published. This is all the more likely if the book is well-written, carefully edited, and presented professionally. For example, as the author of a travel memoir and overall memoir junkie, I often look for books written by other authors in my niche. I recently picked up How Not to Travel the World by Lauren Juliff, a book that’s highly ranked on Amazon and has received dozens of reviews. Thoroughly enjoying it, it was only when I was about halfway through that I became curious about the publisher. There’s no doubt that iUniverse is very happy that they signed an author like Gardham. But what is he getting out of the deal? 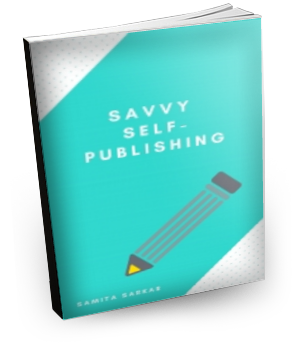 By registering an imprint and truly self-publishing their work, self-published authors can compete with traditionally published authors for the attention of readers. The unethical vanity press “middle man” should have no place in this industry. For instance, The New York Times recently ran an article about Meredith Wild, a self-published author who turned her imprint into a sought-after business. After being bombarded with offers from traditional publishers, she settled on a book deal with a healthy seven-figure advance in 2014, while she continues to write and grow her own imprint today. Could this be the future for Gardham? Gardham could still release new editions of his books under his own ISBNs, and collect greater royalties while he waits for that publishing deal. I wish him the best of luck in the future. Note: I first published this post on The Huffington Post.